The last president to try and draft his own health care bill was President Clinton in the early 90's. Clinton was unsuccessful. But after months of watching the present legislation setting in Congress take so much heat, with so many pros and cons depending on who you are, which party you are affiliated with and so on, now President Obama may draft his own White House bill. Is this a clever tactic or a stupid one? If you think that it may be stupid, just because a prior President couldn't get it done, you may not be underestimating this most modern president, who drags with him the skills and savvy to get things done. All this time for the last several months, President Obama has been testing the waters, and taking the heat in doing so. His poll numbers have been dropping, but what will the pundits say if he drafts his own bill and it passes, something that no previous President could get done. He is a smart man indeed, allowing the Republicans and 'Blue-Dog' Democrats all the time in the world to hang themselves to give President Obama all the clues he may need to get a bill drafted that both groups would like. Now that is a pretty clever move. Of course, if his bill also fails, then the critics will have a great time criticizing the new President, and it most definitely would be Obama's biggest defeat since attaining office. It is critical, because if a bill does not pass by 2010 as he promised in his Presidential campaign, then he most likely can drop so far down in the polls, that he would not be able to recover by the 2012 elections. At the present time, the White House says that no such bill has been written, but you can bet your paycheck that President Obama has been 'burning the midnight oil' trying to figure out a way to get it done. He has become one of the most criticized Presidents in modern history. Why? Because he is not afraid to put 'his cards on the table' and fight for what he believes in. The Republicans will naturally wish that he fails, because that would be their best way to get their 'foot in the door' to begin a possible successful campaign to regain the White House as early as 2012. 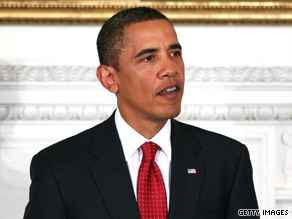 But if President Obama 'plays his cards right' then he most likely will win re-election in 2012. But not so fast. Even a win with health care, President Obama still has a tuff road ahead. The war in Afghanistan has become another very critical point for his re-election. Somehow, he must do what is needed to get things done, and get the troops home from Afghanistan as soon as possible. Instead, at the moment he appears to be sending more and more troops to Afghanistan to fight Al-Quada and the terrorists, and also an attempt to root out Osama bin Laden. That would be President Obama's big win of his first term in Office. If he captured Osama bin Laden, then he would have done something that the prior administration didn't do. The amazing thing is with all he has done on the domestic front, he may just have a good chance to be called a war President for his first term in office, and a peace-time President who was strong on the domestic front to actually do good for the American people. Criticizing past American Presidents like George Bush in my mind doesn't even warrant a mention any longer, as the thought of the workings of President Bush while he layed out disaster for his eight years in office totally upsets me. We can learn from the past, and I think that this most modern President can handle the heat, the trying times, the critics, and has proven beyond the shadow of a doubt that he 'IS' the leader of the free world.